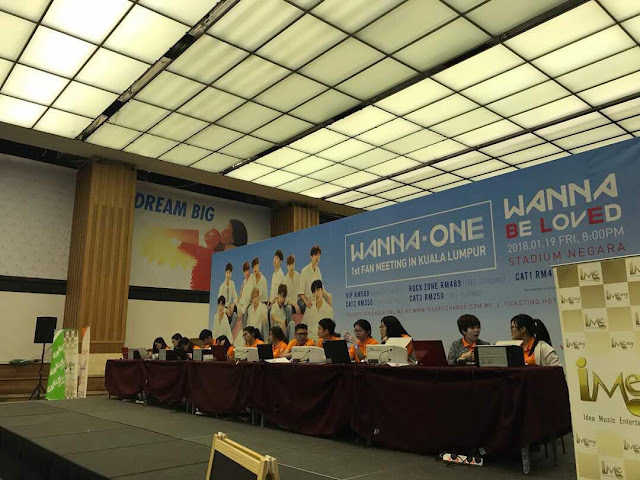 GOKPOP | Exclusive K-News in Malaysia & Singapore: Wanna One 1st Fan Meeting in KL Sold Out Within 4 Hours! Wanna One 1st Fan Meeting in KL Sold Out Within 4 Hours! Tickets for the highly-anticipated Wanna One 1st Fan Meeting in Kuala Lumpur 'Wanna Be Loved' opening yesterday (5 November) have officially sold out. Wanna One has been the talk of the town after the organiser announced their 1st fan meeting in KL which will be held on 19 January at Stadium Negara. 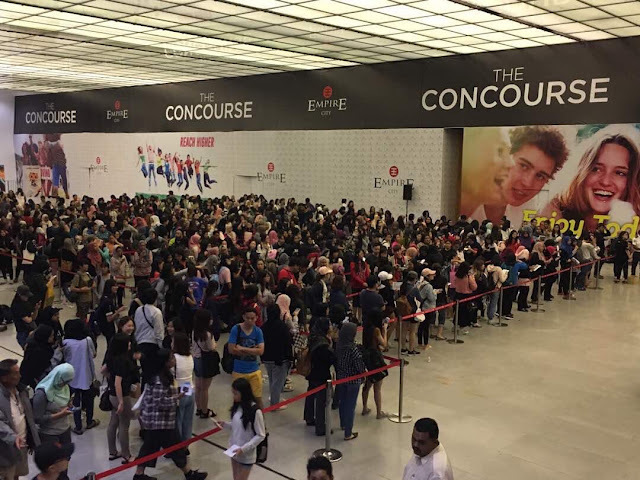 Hundreds of fans were seen queuing up to purchase the tickets at the ticket launch held at Empire City, PJ on 5 November. 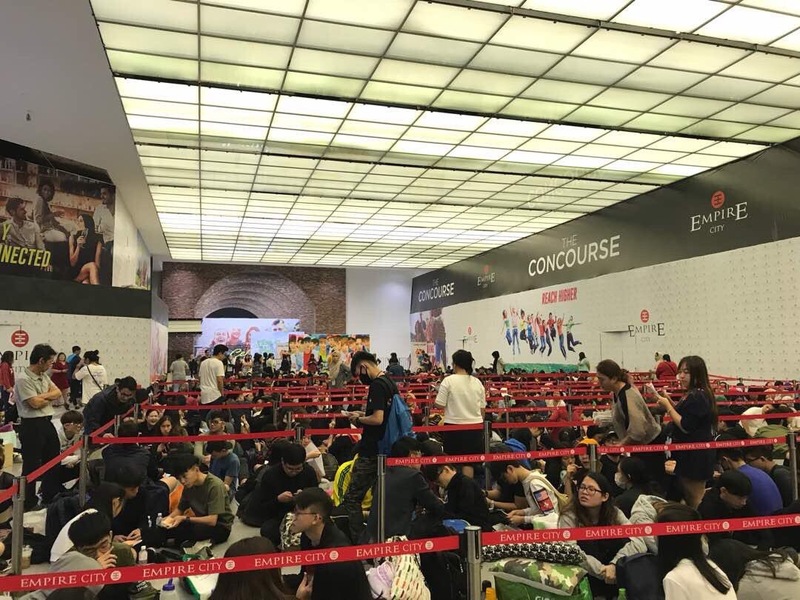 We heard there are fans who started to queue 9 days before the ticket launch! **Be aware of unscrupulous people/scalpers taking advantage of this situation selling fake tickets or reselling the tickets at much higher prices. The overwhelming response once again proved Wanna One high popularity. So far only 1 or 2 K-pop events in Malaysia able to achieve a sold-out show but the rookie boy group, Wanna One who debuted in August breaks the record by selling all the fan meeting tickets within 4 hours of the ticket launch which added them as one of K-pop group who has a sold-out show in Malaysia! We were truly WOW by their high popularity and can't wait for Wanna One 1st visit to Malaysia on 19 January 2018! 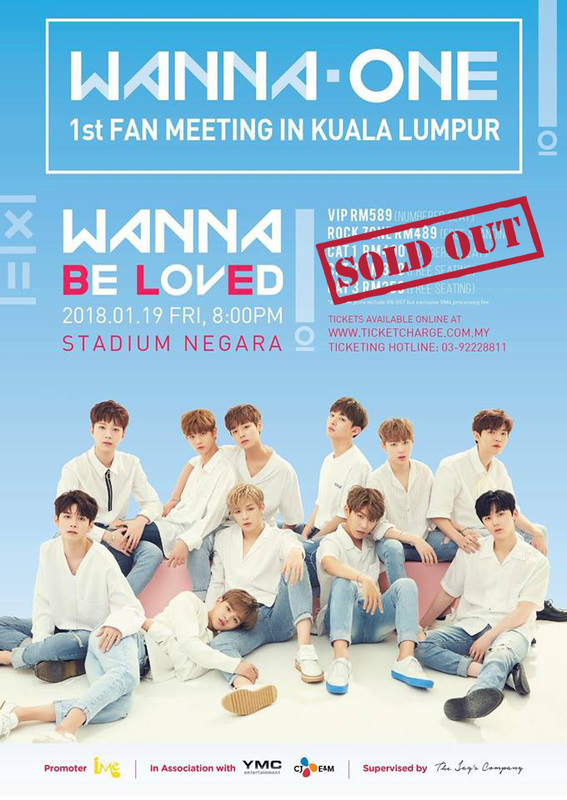 Related article: Awesome Fan Benefits: Meet & Greet, Autographed CD & Poster, Exclusive Selfie Polaroid at Wanna One 1st Fan Meeting in KL "Wanna Be Loved"
Thank you, IME Malaysia for the invitation to the ticket launch.